In 2009 I wanted to join a motorcycle tour of Timor-Leste but much to my surprise there wasn’t one! In fact there was such little information about any kind of touring and travel and virtually nothing about motorcycle touring. After a lot of preparation and research I went and the trip was great…in fact it was amazing. I wanted to do it again and help others do it. One thing led to another and after a year of planning and testing we ran the world’s first fully supported and fully guided motorcycle tour of Timor-Leste in 2010….and have been running them ever since. Furthermore Timor Adventures is a tourism social enterprise. Our goal is to develop guiding & language skills, provide families with much needed income through tourism and contributing to the economic development of Timor-Leste. 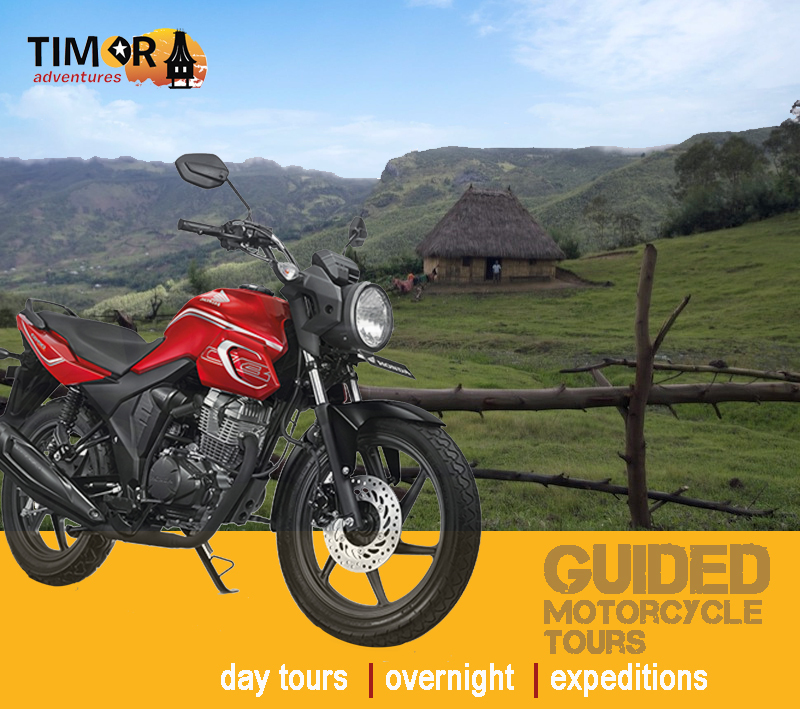 Therefore we do not rent motorcycles, we only run guided motorcycle tours. 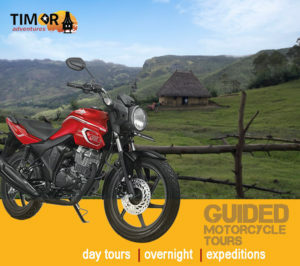 What type of tours motorcycle can you do? Day tour: A tour around Dili, up into the mountains, across the mountains out to the West and back again. Some good roads, some bumpy roads, beautiful coast, fantastic views, historical sites, good places for lunch and maybe even a swim. Balibo; about 3.5 hours west of Dili and heaps of places to see along the coast and into the mountains. There is a great hotel in Balibo and the opportunity to do a quick trip out to Maliana on some good new road. Some new roads, some under construction and some that has yet to be started. Same; heading south from Dili we go straight over the top of the mountains through Aileu, Maubisse and to Same near the south coast. There are great spots to stop along the way and a really great hotel to stay at. Visit the Dom Bon Ventura statue on the way to the south coast and visit the village of Betano, an important WW2 site. Good road out of Dili, some rough road before Aileu and then good road all the way to the south coast. 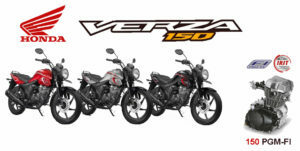 Over the years we have mostly been running carbureted Honda Mega Pros but in April 2019 we purchased a fleet of Honda Verzas. Both bikes are 150cc Honda’s built in Indonesia. The key difference is that the Honda Verza has twin rear shocks and are fuel injected. All inclusive: In the districts there are no credit card facilities, PayPal or any other form of electronic payment. Everything is cash and often you need to have the exact money. We have found that the best way to manage this is to run all inclusive tours for larger groups. This way you don’t need to do lots of transactions for accommodation, meals and fuel. Let us handle all that. Support vehicles: For short trips using just a guide is fine but if you have a longer trip, say 5-8 days and have 5-6 riders then a support vehicle is essential. A support vehicle can carry your luggage so you don’t need to carry it on the bike, it can recover a bike if it damaged or if a rider is fatigued, it is easy to carry essential supplies such as water food and cold beer and no one ever gets lost as the support vehicle is always the last vehicle. Motorcycle helmets and riding gear: Local helmets are cheap and don’t afford much protection. Our recommendation is that you bring your own helmet. If you have light, vented summer riding gear all the better. Motorcycle gloves can be bought here but it is hard to get larger sizes for foreigners. Motorcycle boots get too hot to ride in. Tough work boots with ankle protection generally work pretty well as an alternative. Travel insurance: Timor-Leste has very limited medical services. There are no helicopters in the country for medical evacuation from the districts to Dili. There is a fixed wing emergency service through Mission Aviation Fellowship (MAF) but it can only land at a few airports in Timor-Leste in daylight hours and weather permitting. There are emergency medical evacuation flight services based out of Darwin however they currently cannot fly into Dili at night, they require pre payment through you or your insurer and cost between $26,000 and $30,000. No pillions: We often get asked about pillion riders. Sadly the nature of the roads and the bikes we use are not suitable for pillion riders however non riders can join a tour in the air conditioned comfort of a support vehicle or join one of our 4wd tours. We don’t ride at night: The roads of Timor-Leste can be challenging and full of surprises; farm animals, people walking on the road, truck eating potholes and the ‘flexible’ style of local drivers. This means that you need to be concentrating all the time. Riding at night is just too dangerous. Your guide will ensure that you are where you need to be before the sun goes down. Damage to motorcycles: We work hard to make sure our bikes are well maintained and tour ready. Prior to a tour we will inspect the bike with you to make sure it is ready to go. If you find something that is not right let us or your guide. When you are riding the bike you are responsible for the bike, if you damage it you are financially responsible for fixing it and this includes the cost of transporting it back to Dili (This does not apply if you have a support vehicle). Now for the good news; Parts are cheap and generally easy to get as are motorcycle mechanics. If you break something tell just tell us. 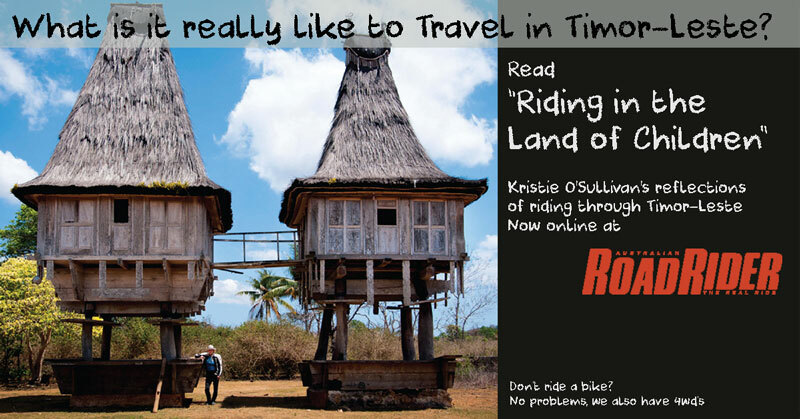 What is it really like to motorcycle around Timor-Leste? Kristie O’Sullivan came on a tour and wrote this article. Australian Road Rider magazine were kind enough to publish it. It is important that you check the Department of Foreign Affairs and Trade website in Australia for any current travel warnings for Timor-Leste and register on Smart Traveler. Timor-Leste has experienced political and social stability since March 2008. While Timor Adventures plans to deliver its tours as advertised there may be a need to alter the itinerary due to circumstances beyond our control such as weather, road conditions, logistical and other factors . Timor-Leste is a developing country therefore you cannot expect the same standards that you are used to at home particularly when we travel to the more remote rural areas. The up side of this is you will get to experience a way of life most people will never know. Motorcycle travel by nature can be a risky pursuit. Participating in a tour on a bike that is new to you on roads that you have not ridden before is difficult enough. Timor-Leste’s roads are unpredictable and have unusual traffic conditions, this means you will need to pay close attention to your riding and be aware that you are responsible for your decision to undertake a tour and ride safely whilst on the tour.